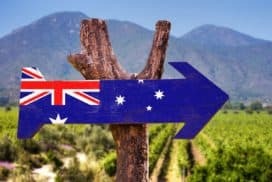 Go To Australia is a information portal where students from all over the world can get accurate, updated, and useful information on education in Australia without spending any money for it. Students can also check in to our site and get free tips on all the opportunities to study in Australia - as against many portals which provide similar information with a cost. Our experts are authorized by the accredited institutes to help students with their study abroad programs. Students are requested to address their queries to our authorised education agents and immigration counsellors to know about the formalities, admission criteria, and course fees to study abroad in Australia. Our website is an education portal where free information is provided to travellers from all over the world to study and work in Australia. Our educational counsellors don’t charge any fees from students for the services. We get paid by the education institutes. In other words, we are not dependent on other payment besides the commission we get from the institutes to where our students have enrolled. We want to offer applicants of all ages and education backgrounds and with additional needs a service in Australia that will provide all necessary information and supports you before, during and after your stay here. Based on our experience of the German and Australian education systems and provider we see a number of major products and services Australia can provide to international students of all education backgrounds. People of all ages may study VET (Vocational Education Training Institutions), ELICOS (English Language Intensive Courses for Overseas Students) undergraduate and graduate courses. Mature age entry is usually offered as an alternative to Year 10 or 12 levels. For mature age entry, you must be at least 18 years old and be able to provide a record of relevant work experience in order to study at VET on a certificate three level for 3-6 months. This leads to a diploma study (from one to two years duration), which further allows for university studies (Bachelor degree). At the university parts of the Diploma/Advanced diploma studies will be credited to reduce study times by up to one year/ up to two years. TAFE (Technical and Further Education/VET) for example offers holiday and technical study tours. English language classes and/or technical classes are combined with leisure or cultural activities. TAFE offers both: career-oriented education and tertiary preparation for further education set in an environment which uses the latest technology and teaching methods. For people with additional needs Australia again is a cost effective way to study and further Australia is well equipped to cater for these additional needs. Working Holiday Visa holders have the opportunity to complete short courses at VET. We want to offer applicants of all ages and education backgrounds and with special needs a service in Australia that will provide all necessary information and support before, during and after your stay here. Welcome to the international student's section of the Go To Australia home page. By following the links you will find all the information you are looking for to make an informed choice of an Australian university, options for financial aid, how to obtain the appropriate student visa and more. Should you want information to be sent to you, either generic information on the Australian education system, or international student applications, remember to contact our education agents and we'll mail you what you need. Be aware of what is allowed and not allowed into Australia. If not sure, declare it to a customs officer. Do not bring in other people's goods as they may create trouble for you. Do not pack any luggage without inspecting it first. Do not bring in goods or items that have been packed by other people as they may contain illegal substances. The penalties for bringing in prohibited substances are very severe. For Rockhampton, Brisbane, Gold Coast and Fiji campuses, it is advisable to bring clothing suitable for a tropical climate. Similarly, for Sydney or Melbourne campuses, winter clothing is advised. Suits and formal wear are required for official functions such as formal dinners. Studying in Australia may be different to what most students find at home, Australian education providers focus alot not only on class room work but alot on practical work as well as work experience. This helps to make sure students have the most education and experience possible before entering their chosen work force. The difference between a lecture and a tutorial which are the two usual forms of class room learning in Australia, is that a lecture is run by a lecturer here students need to focus on what the lecturer is saying and take notes class sizes are generally larger consisting of around 200 students. Tutorials are smaller each class having around 30 students. Final assessments are determined on how the student performed during the year. Grades come from attendance, assignments, class work and exams. Depending on the course that the student is taking there may be different methods of grading. Final grades are given out each semester, if a student does not pass a unit this gives them the opportunity to repeat the same unit in the following semester. Plagiarism or copying is something that is unacceptable in all educational sectors. This is where a student submits some one else's work and says it is their own. Not only will this affect a students grades but it could mean the cancellation of a visa. References are acceptable so long as it is stated that the work has come from else where. The Education for Overseas Students organisation provides legislation to ensure international students are protected and that all courses being offered and undertaken are quality, accredited courses that are being offered to local students as well. All courses are meet national standards. If a student and the EOS finds a course or provider to be dropping its standards or to have given misleading details the student will be refunded in full and a more appropriate course will be offered with another institute. Before being sent a Confirmation of Enrollment letter make sure the student is aware of all course details including course content and duration, qualification, teaching and assessment details, English language skills needed, any pre requisites which may be required, course requirements, fee's, facilities and details of all student services. All educational providers offer student support services, these services help students through their courses. Many institutes have international student counsellors who help to ensure the student is settled and does not need any extra help. Student services work towards making courses and institutes better for the students, they do this by organising orientation days, helping with academic advise, further study options and helping organise accommodation for international students. If a student has any difficulties or issues with a course or a provider it is best to first talk to the institute about this. If still an issue has not been resolved then the student will need to contact the Education for Overseas Students framework. An international office can help students with anything from setting up bank accounts, organising visas, sorting out educational needs, to talking about budgeting and accommodation options. International offices also offer a counselling service to help homesick students or with giving general advise. International Student Advisors are involved with all International Offices. They organise orientation programs which help to get students settled in a new country. This helps students form a sense of familiarity with their new surroundings in Australia. They can also help inform students or advise them on anything they need to know in the way of Australia's culture or its people. All institutes offer specialist services for students with disabilities, this ensures disabled students have all the same prospects and opportunities as all other students attending the institute. It is a must to inform a course provider of specific details to do with a disability and how it will effect course work, this will help to make sure needs can be met as soon as the student arrives. I left Kenya some time in 2002 in search of many things in Australia - one better education - more money and a brighter future. Getting my Visa was such a great joy; as I opened my passport and looked at the sealed stamp. It seemed like the almighty God had posted me a personal invitation. I got on to the plane and to shorten my short. I soon realised life was not what I expected or did not measure up my personal expectations. I had to work extra hard for every single cent that I earned. Many-a-times forced by circumstances to work day and night. My lecturer use to say that many of us foreign students are suppose to work part time but the truth is that we learn more hours than those employed fulltime. That is probably the story with most foreign students around the globe in westernised countries. Whether you are in Sydney, Brisbane or Melbourne the stories seem to follow a similar pattern for most foreign students. My advice is always set your mind on one goal. If you want a university degree then let that be the number one priority. A Swahili proverb says, “He who wants everything gets nothing” Get your priorities right and pursue then relentless. The good things in life come at a price and that price often involves sacrifice. Your education is worth sacrificing for. When I was young my mother rubbed it on me, day and night about the importance of education. She had a dream of seeing her son wearing a gown as he graduated from university. Unfortunately my mother died before realising that dream A university degree has traditionally been viewed as the key to life worldwide. Unfortunately many that graduate with highly esteemed degrees find that the real world is not a bed of roses. They leap from one interview to another, from one job to another in search of greener pastures. For those that manage to get jobs they find that they use very little of what they learnt in school. In university they got the wrong impression that they were going to do “rocket science”. Despite all the disappointments; a degree does matter. It greatly increases your chances of success in life. A graduate is more likely to get a well paying job. Much as a degree would not guarantee you your dream job but it does put you ahead of the lot. If you are considering a degree; get it from the best place and my bet is a South Australian university. No matter what part of the world you come from you will not only be welcome but will feel welcomed It will give you the opportunity to meet people from different backgrounds and culture. Australia is generally a multicultural country where you will people and very tolerant to each other. University can be a lonely place, especially as you look around the lecture theatre and see faces from other cultures, other places, strangers. The temptation is to ignore the other students and to suffer alone, to concentrate on your own studies and, to a certain extent, this works. However, even for a confirmed loner like myself, there are benefits in creating a study network. This network need not be extensive, it need not be social, you might simply meet for coffee after a lecture. Most subjects will set weekly activities or questions for you to answer/consider. Discussing these with others will stimulate your own thoughts, will give you the benefit of their thoughts, will deepen your own understanding. It is easy to approach someone from your own culture ... well, easier than someone from another culture. There is no criticism in this, we are all more comfortable with people with whom we share something and culture is a powerful force. Study groups do work, even for confirmed loners like me. University can seem like an alien culture. When it is overseas, it is doubly hard. Macquarie University has the highest percentage of overseas students of any university in Australia. Having been a Chinese student herself, Ying knows the how bewildering arriving in a new culture can be. She went looking for what she calls “her Australian family.” Now that she really does have an Australian family (she and Tim have a two year old son) she is keen to support others. The leaders serve how they can. Coffee Club introduces Australian culture and teaches English, blending chat, games, activities and supper. When people needed help finding jobs, Jason wrote a booklet about finding work and they ran a CV-writing workshop. When a student was homeless, she moved in with Tim and Ying. Latin American regulars, Carlos and Diana, say, “We started coming to learn English, but we came again because of the friendship.” This of course is what Coffee Club leaders want. Says Tim, “They teach Jason and me Mandarin. Chinese New Year and Australia Day coincided this year. Coffee Club meets at 7.30pm every Friday at Morling College, 120 Herring Road, North Ryde. Monthly, they have dinner at a leader’s home, where the cooking and the billiard table prove popular attractions.